Data from the Teranet-National Bank's house price index shows that despite a decline in sales, home prices have continued to rise throughout the country. Overall, on a year-over-year basis, home prices increased 2 percent during May. This follows a 2 percent gain during April. 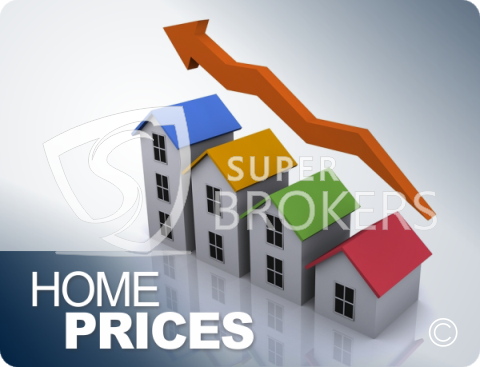 Out of the 11 cities the Teranet-National Bank index tracks, seven featured home prices increasing above the national average. These included Quebec City, which saw a rise of 6.5 percent, Calgary and Hamilton, which both saw increases of 5.8 percent, Winnipeg, which experienced a rise of 4.6 percent, Edmonton at 4 percent and Toronto showing gains of 3.9 percent. Home prices also rose on a month-over-month basis, increasing 1.1 percent overall. Once again, there were plenty of cities hosting price gains well above the national average. Calgary led the pack with an increase of 2.3 percent, followed by Edmonton at 1.9 percent, Hamilton at 1.4 percent and both Montreal and Winnipeg at 1.2 percent. While price should be a chief concern for buyers seeking an affordable home, it's not the only factor to account for. Things like closing costs, taxes, maintenance and repair also need to be analyzed. Any homebuyer with an Internet connection can take advantage of some valuable tools intended to help with determining affordability. For instance, since buying a home typically means taking out a mortgage, using an online mortgage calculator is a great way for buyers to find out what they can afford and how it will affect their finances. Plugging in mortgage amounts, term lengths, mortgage rates and amortization schedules will result in a detailed summary showing how many payments will need to be made to pay off a loan, as well as the size of the payments and over how many years. Best of all, online mortgage calculators give borrowers the chance to contrast and compare different mortgage products. For instance, borrowers can determine how much it would cost to opt for an accelerated payment schedule, which will cost more monthly but save money in the long run. Another factor that can make a big difference on affordability is the interest rate a borrower obtains when taking out a home loan. Lower interest will mean lower monthly payments, as well as less money spent on interest over time. With interest rates beginning to rise, it's more important than ever for homebuyers to explore their options and do their best to lock in a low rate. 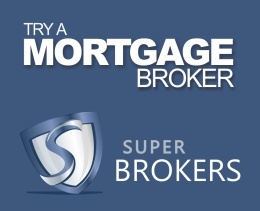 One strategy to consider is investing in a mortgage broker. Brokers are proven to be able to obtain lower mortgage rates, and with major banks starting to raise theirs, the networks of lenders brokers can access are even more valuable. Another idea is saving up for a large down payment, as this typically means borrowers can not only get better mortgage rates, but they also have a smaller balance to worry about paying off. This results in double the savings. This entry was posted in Financial Planning, Residential Mortgages and tagged down payment, home buyers, home prices, mortgage, mortgage broker, mortgage rates by The Super Broker. Bookmark the permalink. With the right mortgage broker you're not just a number in a file somewhere, you're a VIP. Here, your satisfaction is our mission. We work tirelessly in order to offer you the best rates and services so that when you eventually need to renew, refinance, or make another home purchase, you'll want to stay with us. Apply today and see what our brokers can do for you.